The ALL CITRUS PACK is chock full of our hand-picked Florida Fresh citrus. We pick our fruit to order from the local grove, wash and wax it the old-fashioned way and then pack it to order for you. This helps insure you get the freshest, most delicious citrus available. 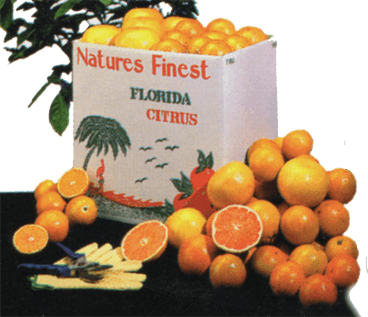 All of our Fresh Florida Citrus is 100% Guaranteed! You can choose from All ORANGES, All GRAPEFRUIT, or MIXED. If you would like Specialty Fruit, please add $2.00 per tray to your order. CALL 352-796-2289 or 352-556-8447 TO ORDER or click here to have us call you.